Every month I say: this is my favorite FairyLoot yet! And honestly, the February Emperors & Fugitives box was no exception. I know this is super late, but since the March box was sold out anyway, I figured I had time to get this posted before anyone was able to purchase the April box! As usual, I will provide the retail price for all of the items that were found in the box. I think this helps for those who are considering grabbing a box, or possibly subscribing, but havent quite committed yet because the cost of international shipping is too much/overwhelming. This will be a quick post since I am sure everyone has already seen the contents of this box around Instagram, but I just wanted to throw in my two cents too! February Book Boyfriend Box Unboxing! It is one of the most wonderful times of the month: a bookish subscription unboxing time! Book Boyfriend Box is a relatively new subscription box, with the February box being only the third they have put together. I am so supremely lucky to be able to rep for this company, they have been nothing short of wonderful, and I love seeing the evolution of their boxes. So, without further ado, February’s Out of this World box! Every month I seek out unboxing pictures for FairyLoot, even if I have managed to snag a box that month or not. I don’t know why it took me so long to finally commit to a subscription, I was hesitant that there would be a few months in a row that the value wouldn’t be there to justify the international shipping I suppose. However, after seeing 7 months of unboxings, and personally receiving 4 of those boxes, I finally committed to a subscription to FairyLoot! When I first started unboxing FairyLoot on my blog, I wanted to break down the price of each item in the box, so it would help anyone else who was on the fence about the international shipping into convincing them to subscribe to this book box company, and I have decided to go back to that! It does take a little bit of extra time and research, but I think its worth it to potentially save people some money, or help them commit to finally taking the plunge into FairyLoot! So without further ado, the January FairyLoot box: Mischief and Magic! December Book Boyfriend Box Unboxing! Even though Christmas is right around the corner, when it comes to subscription boxes, I have always had the mentality to “treat yo’ self”. Subscription boxes are so much fun, and even if I personally had no use for some of the items, I could always find a stocking or three to slip some goodies into! Book Boyfriend Box is a bimonthly subscription box that focuses on all of our bookish boyfriends and loves. This is a brand new book subscription box on the scene, with the December ‘Love Letters’ box being only the second one. As a rep for the company, I have received both boxes and can honestly say this one blew me away with not just the quality of the items, but with the amazing curation as well! October Book Boyfriend Box Unboxing! Last month, I was asked to be a rep for a brand new subscription box company called The Book Boyfriend Box! You all should know by now how much I adore subscription boxes, so this was such an honor and I am so excited to be working with Bailey and Taylor on this project for the next couple of months! 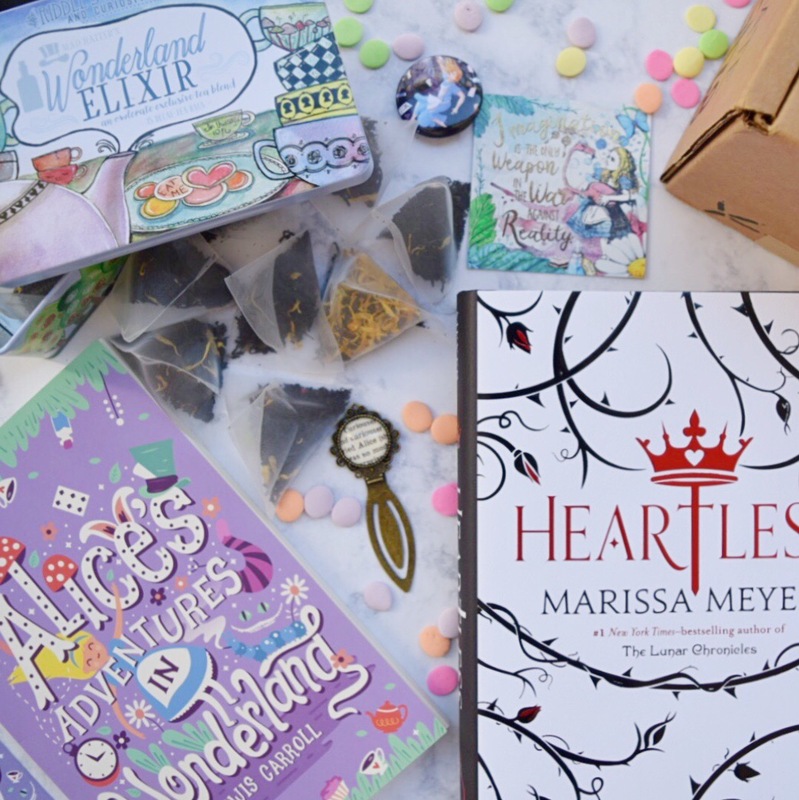 The Book Boyfriend Box is a bi-monthly subscription box that features items based on some of our favorite book boyfriends! In addition to the items, there will be a newly released YA novel included in the box that goes with the theme (but not necessarily the boyfriend featured). October’s theme was “To the Stars” and was a wonderfully well curated inaugural box! So, without further rambling, let’s get to the goods!